It’s a sad fact of romantic mathematics that two doesn’t go into three. Nobody knows that better than Sir William Collyer, his wife Hester and her lover Freddie, three of the lead characters in Rattigan’s The Deep Blue Sea. Inspired by our critically acclaimed production of The Deep Blue Sea, we’ve decided to look at some of the best theatrical love triangles. 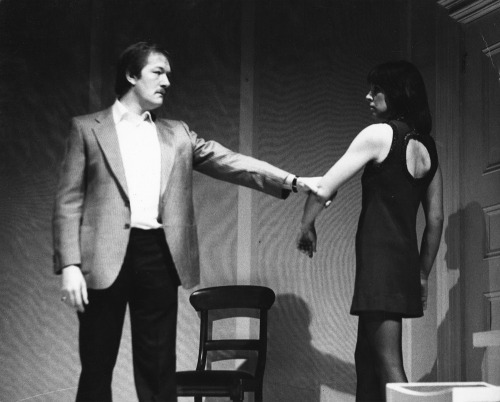 When Harold Pinter’s Betrayal had its premiere at the National Theatre in 1978, the love triangle between Emma, Robert and Jerry was given extra oomph by the fact that two of the actors were married. Penelope Wilton and Daniel Massey were joined by Michael Gambon as Massey’s ‘close friend’. As you can probably guess by the title, that friendship gets somewhat tested. The play portrayed many of the events of the affair between us, with an accuracy verging on the literal. At the time when he first sent me the script, I was deeply distressed to have our private affair so glaringly presented on stage. Pinter went ahead anyway. Betrayal indeed. 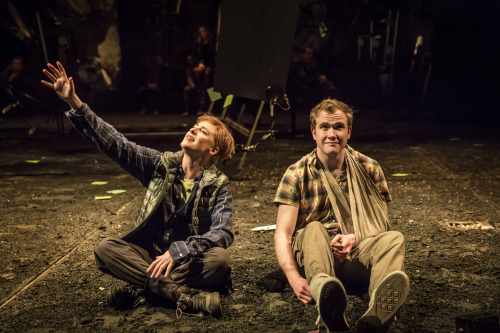 It won the Olivier Award for Best New Play, so you might say it was worth it. The Deep Blue Sea has Helen McCrory in her second National Theatre love triangle in the three years. 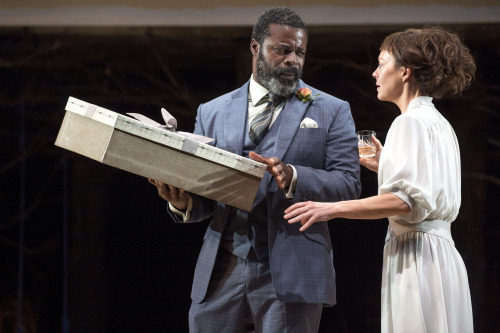 Euripides’ Medea gets jilted by her husband, Jason, for a Corinthian princess called Glauce (changed to Kreusa for the National Theatre’s 2014 production). Medea reacts by killing Glauce and then her own children with Jason. Love triangles – bad for your health. It’s the same reason that people love crime dramas: you want to know how she’s going to do it and you’re wondering if this is some chemical imbalance. But it’s not. She basically says: F*** you. I choose to take back my life. And, even in the 21st century, we’re not used to women speaking like that. Although, judging by the two Greek families I know, it’s clear women have always run that society. Love triangle expert Shakespeare often used cross-dressing as the main cause of confusing love games. 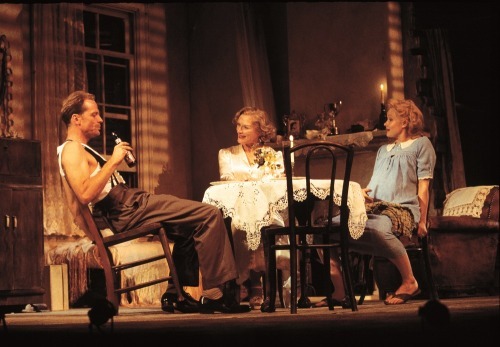 It’s a family affair in Tennessee Williams’ A Streetcar Named Desire, the story of a love triangle between two sisters and the man who divides them. The play received the Pulitzer Prize for Drama in 1948. The Deep Blue Sea centres on Hester Collyer, who has left her husband Sir William for an alcoholic ex-RAF pilot called Freddie. This goes about as well as expected, and the play opens with Hester’s botched suicide attempt. Like much of Rattigan’s work, it’s famed for its depiction of unrequited love and passion, especially for Hester, whose pain is delivered in blistering form by Helen McCrory. Captured live on stage at the National Theatre, London, don’t miss our screenings of The Deep Blue Sea at Riverside Theatres 9 & 29 October. Click here for more information and bookings. This article originally appeared on the National Theatre’s blog.